From passenger-packed road trips to colossal cargo hauls, the 2019 Dodge Journey has you covered for all of life’s expeditions. The versatile SUV, which features three-row seating and holds up to seven passengers, delivers an array of available family-friendly features to keep you and your precious cargo at peace on the road. 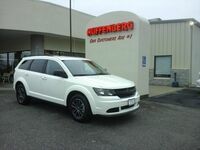 Come by and check out the 2019 Dodge Journey for yourself at Chris Auffenberg Chrysler of Herrin in Herrin, IL near Cape Girardeau, MO. 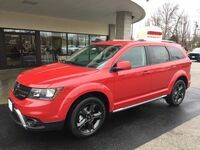 With a starting MSRP of $23,495, the 2019 Dodge Journey is an affordable option for families looking to add a touch of convenience to their daily routine. With second-row seats that slide forward and backward, you can adjust the Journey’s cabin to fit the needs of your unique family. Continue reading to learn about what family-friendly features are available in the 2019 Dodge Journey. The days of hauling around bulky booster seats are over with the Journey’s integrated second-row booster seats. The seats fold down when needed and conveniently fold back into the bench when not. 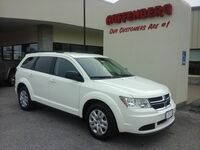 The Dodge Journey’s standard smart storage system features clever solutions to common issues. Enjoy seamless cargo storage with the fold-flat seats. This SUV’s second- and third-row seats conveniently fold edge-to-edge to provide up to 67.6 cubic feet of smooth, flat cargo space. Keep goods stored out of sight with a discreet in-floor cargo storage compartment. And now long trips don’t have to end in lukewarm beverages in the Journey. An in-floor cooler compartment hidden in the cabin floor keeps drinks refreshingly cold. The driver’s seat just got a little more desirable with the Journey’s available six-way power driver seat with four-way lumbar adjustment. Just adjust to the position that fits the contour of your spine and enjoy a new level of comfort at the wheel. For those times when you want to feel the heat, the Journey’s available heated premium leather-trimmed seats and heated steering wheel options will keep you at a toasty temperature. 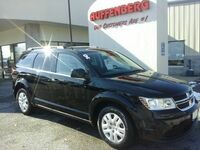 Interested in a 2019 Dodge Journey?